An app for viewing Interactive Print. It allows your audience to more deeply engage by scanning, interacting, saving and sharing your print content. We provide Layar APK 8.5.3 file for Android 4.0.3 and up or Blackberry (BB10 OS) or Kindle Fire and many Android Phones such as Sumsung Galaxy, LG, Huawei and Moto. Layar APK is a free Lifestyle Apps. It's newest and latest version for Layar APK is (com.layar.apk). It's easy to download and install to your mobile phone (android phone or blackberry phone). Read Layar APK detail and permission below and click download apk button to go to download page. Please be aware that we only share the original and free apk installer for Layar APK 8.5.3 WITHOUT ANY cheat, crack, unlimited gold, gems, patch or any other modifications. if there is any problem please let us know. Connect digital content with the real world with Layar - the world's #1 augmented reality app. Scan print materials enhanced with Layar to view rich digital experiences right on top! Then be amazed as extra digital content appears, allowing you to interact with your world in a whole new way! •	See magazines come alive with videos right on the page! •	Easily buy items with direct mobile shopping links. •	Connect with links to web content and share items on social media. •	Browse and view thousands of Geo Layers to find stuff nearby, like ATMs, restaurants, historical locations and more! Don't know what to scan? 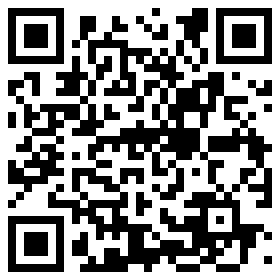 Look for the Layar logo on magazines, newspapers and other materials, or try scanning a QR code! You can also scan the posters for the world's most popular releases and coming attractions to watch the trailer, get more info, see what the critics say and more! •	Layar is easier to use than ever with a whole new user-friendly interface. •	Check the “Recent Content” section to see your history and view content again later or show it to others. Layar Permissiom From APK File: OTHER: Allows applications to access information about networks. LOCATION: Allows an app to access precise location. CAMERA: Required to be able to access the camera device. STORAGE: Allows an application to read from external storage.